In Part 1 of this 2-part article series, we will dive into what market orientation is, why it’s so important, and why it isn’t adopted by more companies. In Part 2, we will walk you through how to do market research and apply this data to your strategy. What can you expect after reading these articles? Well, our goal with these posts is to help you build a solid foundation for your marketing strategy, one that will remain strong even during uncontrollable industry and consumer shifts. Market orientation and research are the fundamental principles upon which sound marketing strategy is built. In future blogs we will cover even more critical marketing strategy components such as segmentation, targeting, and positioning. We will try to build a sequential methodology for you so you can follow along and apply it to your business. What Is Market Orientation and Why Is It So Critical for Marketing Success? Before we go into detail on what market orientation is, do you know if you are market oriented? Do you have customer survey data sitting on your desk or buried in a software program, but you haven’t had a chance to look at it yet? Did you gather data but don’t believe that it will actually make a difference in your bottom line? Do you have a customer service team yet you’ve never polled them about your customers’ top concerns? 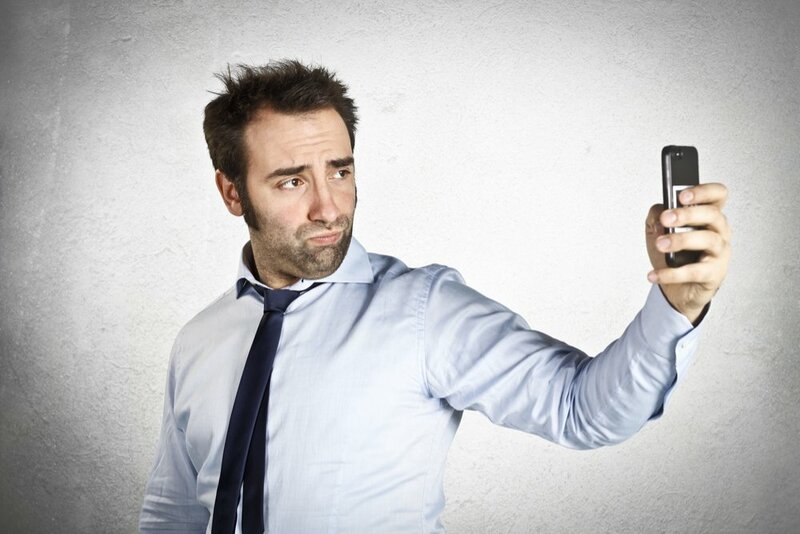 Do you have customers but have never actually talked with them face-to-face? When you have marketing meetings, are you the loudest person talking in the room instead of letting your customer data speak? If you answered “yes” to any of these questions, you may not be market oriented. But the good news is that you can start right now, even if you have been in business for a long time. Let’s get into more detail on what market orientation is so you can fully understand how it works and what the next steps are to adopt it for your company. Market orientation is kind of like admitting to your significant other that it was you who left the garage door open after you found out someone stole your car. It requires humility—and LOTS of it. The backbone of market orientation is the realization that you are not your consumer and that literally every opinion and bias you have about your consumer is dead wrong. Can you see why this isn’t a widely adopted marketing model? If you are a market-oriented business owner, you can admit that you know absolutely nothing about your audience and you realize that it is impossible for you to view your product through the eyes of your audience. It allows you to appreciate and understand the value of market research. You will use this market research data to inform your company decisions instead of relying on hearsay, hunches, and assumptions, which are all flawed regardless of how well you think you know your audience. Market orientation brings you to zero so you have no choice but to do market research. Here’s an important point to remember: You shouldn’t do market research just because you think it’s something successful companies do. Performing research without an understanding of how to apply it will never be 100% fruitful. Data collection should hail from a market-oriented mind-set that understands your company’s success hinges on your ability to pinpoint and meet your consumers’ needs. Market orientation is not a one-off tactic or practice—it’s a mind-set and an approach from which all strategy flows. So you are biased and think you know your customer. As we discussed, this is a definite impediment to becoming market oriented. But what if you agree with what we are saying and you want to remove the bias, but you still struggle with market orientation? You may be facing some personal challenges to adopting this mind-set. Below are some typical excuses or barriers to entry as it relates to market orientation. Have you ever had these thoughts? Note that with each personal challenge, we included a different perspective. As you open your mind to this new normal, you can begin to adopt market orientation. Time – You have an upcoming launch/sale/promotion or have too much to do to keep your company growing so you don’t have time to dig into research.We understand that market research can feel like a threat to progress. But the truth is that without customer data, you are falling below your potential as a marketer. The longer you put it off, the greater chance of failure. And ironically, the more you adopt market orientation, the greater the chance that your products will sell themselves, allowing you to reclaim the time you spend advertising to the wrong audience. Fear – If you proceed, you are afraid you will find out that you don’t have the skills to do market research. The ironic thing here is that failure is good because it shows us that we need to stop relying on what we think we know and instead rely on what our audience and market are telling us. Cost – It’s too expensive to perform adequate research and you would rather spend your resources on marketing tactics such as advertising, social media, etc. Hint: Most marketing research costs are overestimated. We will talk more about this in the second part of this blog series. Arrogance – As we discussed before, humility is essential here. Faulty assumptions – You know when your last sale was a flop and you thought it was because your landing page design wasn’t good enough? If you don’t have data to back up that assumption, you should consider yourself 100% wrong. You take after Steve Jobs – Jobs is quoted to have said that he didn’t do any market research, so marketers often tout these words as ammo to back up their opposition to gathering data. The truth is that Jobs did PLENTY of research; he just didn’t spend time asking customers what they wanted. Instead, he observed their behavior and predicted the type of product they would buy while also double-checking his assumptions. We talk more about this in a later section. We realize you will face some personal challenges to becoming market oriented. But, you must fight for market orientation and overcome them if you want to build a solid marketing strategy, scale your business successfully, and outperform your competition. Recognize that you are not and will NEVER be your consumer no matter how strongly you feel. Face your objections, always return to zero, and consult the data. You have all of the tools and resources to discover what your consumers think. It’s not difficult (nor always expensive), and we will discuss how to do it in Part 2 of this blog series. 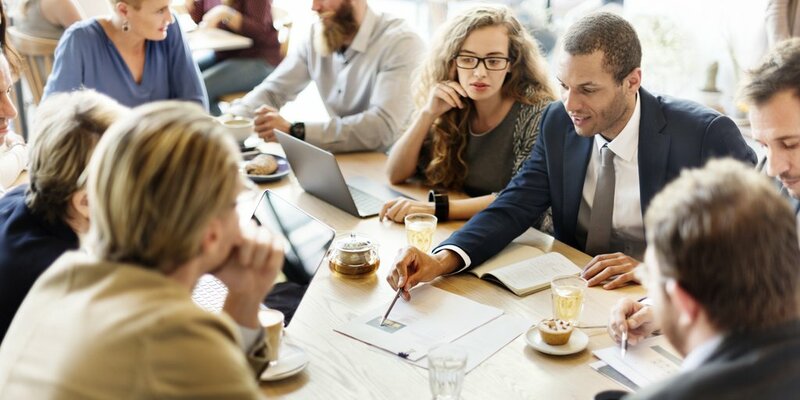 In addition to personal challenges, you may also face company-wide challenges that threaten your ability to foster an environment that supports market orientation. The most common company challenges involve touch points. The people who have the influence to create lasting change within your company are often the same people who never interact with customers. If you are a CEO, you may have strategic power, but if you don’t interact with customers, it will be difficult to understand the need for a market-oriented culture. On the flip side, your customer service team interacts with customers regularly, and they likely have a better understanding of what the customer thinks and desires. But they typically don’t have the power to influence marketing strategy. Rectifying this requires seeing marketing orientation as not just a specialized company task but a global perspective or idea that the entire company needs to adopt. To explain this point further, let’s look at one of the first definitions of market orientation, which comes from Peter Drucker—American management consultant, educator, and author—in his 1954 book, The Practice of Management. Market orientation is NOT a one-time tactic. You can’t just develop a new system and launch it once and expect to birth a market-oriented culture. Marketing is fluid; it’s never static. And so is market orientation. Market orientation is a company-wide approach that constantly informs your strategy as your audience and industry change. Once you implement a marketing strategy, you will continually glean insight and adapt accordingly, learning and growing, avoiding past failures and gaining more data as you go. Market orientation is also much more than just gathering customer data. This information suggests that market orientation includes gaining business intelligence on BOTH customers and competition. The data gleaned from research should then filter through every company department (interfunctional coordination), and all personnel should apply what they’ve learned to their communication with customers, whether directly or indirectly. Let’s talk dollars and cents, shall we? According to research, companies that are more market oriented enjoy higher profitability, superior sales growth, greater customer retention, and better new product success. What happens if you aren’t market oriented? Failing to be market oriented can make you irrelevant in a highly competitive marketplace and put your company in jeopardy (more on this later). Having said that, if you haven’t completely embraced the idea of market orientation, you are not alone. It’s not widespread mainly because of 3 competing concepts: advertising, product, and sales orientation. Review your company practices and notice if any of these competing orientations are conflicting with your ability to become more market oriented. Does your marketing strategy focus only on social media, PPC ads, and content marketing? When you are advertising oriented, you believe marketing solely encompasses content/advertising, as you see this as the totality of the customer experience. 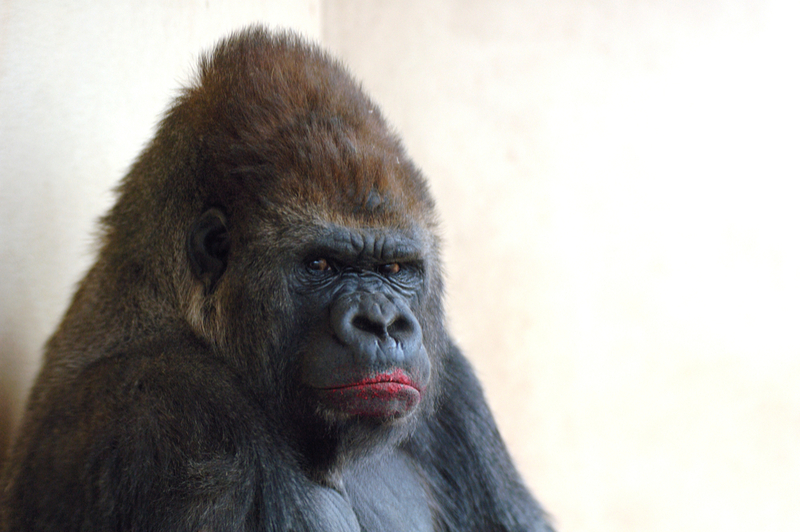 You can make your content as flashy (like the brightest red lipstick) as you like, but if you don’t create the content from a deep understanding of your audience, you are only focusing on 10% of marketing (and when you remove that lipstick, you still have a gorilla underneath). Ninety percent of marketing is brand strategy, research, targeting, segmentation, and positioning. If you focus on only 10%, you are missing out on a major part of your marketing strategy. That doesn’t mean that focusing on the 10% won’t land you some quick gains, however. An advertising agency created the Fearless Girl Campaign for State Street Global Advisors (SSGA) for the anniversary of its SHE Fund, which invests only in companies that place women in top leadership positions. 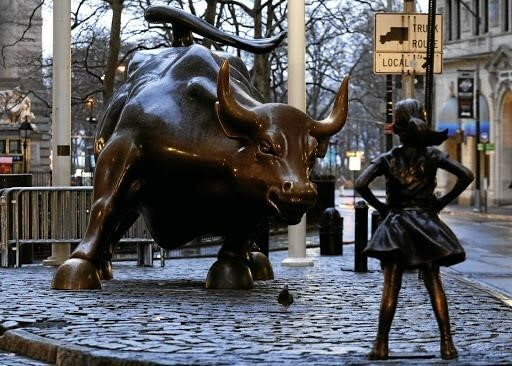 The campaign featured a statue (below) of a girl facing down the Wall St. bull. The campaign went viral and demonstrated that focusing on the 10% can result in hefty gains. However, the campaign did not give attention to the other 90% (brand strategy, positioning, targeting, segmentation, and research). The advertising agency lacked diversity in its own company so there was a disconnect with the campaign. The campaign lacked no shortage of hype, but its long-term effectiveness fell short. Have you created products without talking to your target audience first? If so, you may be product oriented. Product orientation judges the success of a product through a company’s core competencies, not the eyes of the consumer. It focuses solely on company resources (equipment, design talent, etc.) and neglects finding out if its products will meet the needs of the marketplace. If you are focused only on selling what you create instead of creating what the market demands, you may be product oriented. If you focus on training the customer to love your products instead of creating products the customer will love, you may be product oriented. Let’s talk about the company 3M. 3M is a product-oriented company. The R&D department of its commercial tape division developed and patented the adhesive component of Post-It Notes one full year before it identified a commercial application. Thankfully, it worked out for the company. But can you see how risky this is? You are essentially creating a product without knowing if the market will adopt it. Are we saying that you should abandon creating an excellent product and only listen to your customers 100% of the time? Not at all. You still need to assess your capabilities. The key here is to focus on creating a product that resonates with customers (based on your research), and balance that with creating a product your company can actually produce. Sell, sell, sell—that’s the key to business growth and longevity, right? Sales-oriented companies are revenue focused and leverage marketing solely to drive sales and generate leads. They also place supreme emphasis on improving the abilities of the sales force. But when this hustle doesn’t emanate from understanding customer needs, it puts your business in a vulnerable position and threatens your longevity in a highly competitive market. Ford was in a vulnerable position before Alan Mulally became its CEO in 2006. The motor company (pre-Mulally) encompassed many brands and products in an attempt to “be all things to all people” to sell to everyone and grow faster. This strategy began to sink the company. Revenue was up, but profits were down. Mulally sold off a lot of Ford’s brands and became less sale -oriented and more focused on consumer needs, resulting in a nice profit surge. Sales and revenue are NOT the sole determinants of how well your company is doing. Focus on profits first as they are the lifeblood of your business. Temporary sales promotions and tactics may work in the short term, but as your customers’ needs and the industry change, you need to become market oriented. If not, your business is vulnerable to competitors who are constantly improving product quality according to changing market and customer needs, while leaving you in the dust. How would you like to know your customers better than they do? Imagine if you could look into a crystal ball to predict your customer’s future behavior and market to them based on your predictions. That crystal ball is market research, and this practice is called predictive market orientation. Target: A father was angry at Target for advertising pregnancy products to his nonpregnant daughter. Later it was discovered that the girl was in fact pregnant and Target’s algorithm had uncovered that by comparing her purchasing behavior with past customers. With Target’s customer and behavioral research, it was able to predict that its customer was pregnant—even before she knew. Walmart: This retail giant stocks up in advance of heavy weather situations, filling its shelves with the top products sold during similar past events. Do you have to be as big as Target and Walmart to practice predictive market orientation? All it requires is gathering data on past customer behavior and purchase history and using a little creativity to predict future behavior. We will dive into this more in Part 2 of this article series. Are You Ready to Adopt Market Orientation? So we’ve discussed how and why market orientation is a necessary foundation to creating a rock-solid marketing strategy, how to overcome personal and company challenges, and what competes for your attention when adopting market orientation. Stay humble. Remember that you aren’t your consumer and you literally know nothing. Start from zero and let go of your bias, opinions, and point of view. Work on your personal challenges to market orientation. Reframe your objections into an ascended perspective that overcomes objections and approaches the subject with an expected end goal (adopting marketing orientation). Observe the company organizational challenges to market orientation and work to get the entire company on the same page, adopting this new mind-set. Pay attention to competing orientations (advertising, product, and sales). Notice when you are falling into these orientations and work to stay holistic and research focused. In Part 2, we will continue this series and discuss how to perform market research (for all budgets) and get you one step closer to defining and creating a rock-solid marketing strategy.